In a high-stakes story involving life-and-death peril, the emotional undercurrents will often contain moments of nail-biting suspense, growing dread, and even abject terror. The degree to which these emotional states are manifested will likely depend on the tone and pacing of the story, but they’ll certainly make at least a few appearances as events run their course. When I was hired to create music for the narrative sections of Homefront: The Revolution, I thought a great deal about how to augment and amplify emotional intensity. I thought about how suspenseful things became as the narrative progressed, how much dread haunted the characters, and how terrifyingly powerful their enemy was (pictured left). As I considered these ideas, it started to occur to me that the intense character of these emotions bore some strong similarities to the kind of atmosphere you’d encounter in the popular horror genre – and that became a core idea that informed my musical composition for this project. Exploring how music and sound ratchet up the tension and intensity in horror is an excellent way for us to learn about the techniques of tension – since intense emotional stress is what the horror genre is all about. With that in mind, let’s start thinking about what role music and sound play in the mechanics of horror. As an example, let’s take a look at my music for the single-player narrative of Homefront: The Revolution. For a scene taking place in a perpetual war zone, I created music driven by grimly atmospheric sound-design. In this no-man’s-land (pictured below), breathing requires a gas mask, and the echoes of death and suffering are constantly audible in the distance. In Homefront: The Revolution, the monster is the KPA occupying force (pictured above), and staying alive means keeping hyper aware. A jump scare functions best when the audience is in that tense, hyper-aware state. Jump scares form one of the building blocks of a frightening soundscape, but it’s only one of many terms used to indicate levels of aural stress and excitement. “You’ve probably already heard a lot of these elements in action, but you might not know their technical titles,” writes Dan Powell (pictured right), the creative development manager of the Soundsnap audio library. In an article for the Pro Video Coalition site, Powell breaks down the elements of sonic tension into a useful list of definitions. 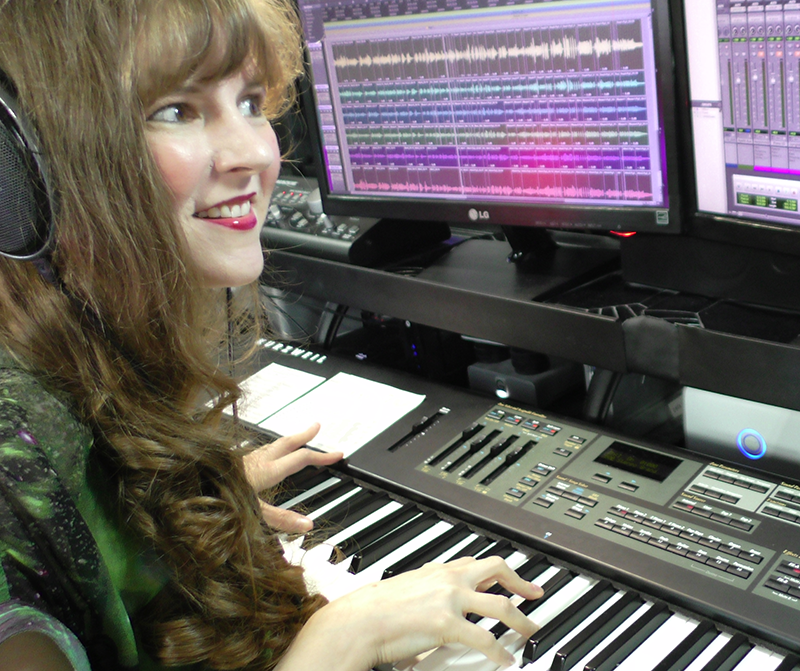 While the article was meant for sound designers, we game composers can glean useful information from it as well. I used bumpers and whooshes frequently in the music I composed for Homefront: The Revolution – here’s an excerpt of my music that demonstrates how useful these sounds can be. So, that wraps up Part One of this two-part blog. In the next installment, we’ll be taking a closer look at harmonic textures in tension building, and we’ll take a moment to consider the role of silence in elevating the anxiety of our audience. Thanks for reading, and please feel free to share your thoughts in the comments section below! This entry was posted in Music Composition, Music Theory, YouTube and tagged Chris Pruett, Dambuster Studios, Dan Powell, David Lynch, Deep Silver, Homefront, Homefront: The Revolution, horror, Jacob Hall, Jacob T. Swinney, Oculus Rift, Paul Hackner, Robot Invader, suspense, video game composer. Bookmark the permalink. Will this be made available on iTunes, by chance? Hi Tyler! I don’t know if a soundtrack will be released, but I’ll post an update if I hear any news about that! Thanks Winifred. I often overlook ambience as a tool to create tension. That David Lynch clip gets the point across well ! Thanks, Chris! Glad the David Lynch clip was helpful! Thanks for expressing your ideas. I’d personally also like to say that video games have been ever before evolving. Modern technology and enhancements have aided create genuine and active games. These kinds of entertainment video games were not actually sensible when the real concept was first being attempted. Just like other areas of electronics, video games way too have had to grow as a result of many years. This itself is testimony towards the fast growth and development of video games. Good point, Genaro! Thanks for reading, and for adding your thoughts!